An original dramatic presentation, cowritten by William Gibson, national best-selling author of Neuromancer and other classics, and Michael St. John Smith. The year is 2016. Not our 2016. Theirs. Earth is dying, the result of a worldwide nuclear holocaust caused by America’s dictatorial President-for-Life Lewis Henderson, a man who will use any means necessary to maintain power and survive. Enter: The Splitter. A machine capable of splitting off an exact replica of Henderson’s world. A world where the cataclysmic events causing its destruction have yet to occur. In August of 1945, our postwar Europe becomes the battleground for Henderson’s operatives - led by his sociopathic son - as they engineer a complete redo of their history. By changing ours. Their mission is to take over our world and rule it absolutely - again. The only obstacles in their way are a disabled rebel colonel in an underground bunker; a Marine pilot who pursues Henderson’s men across time; and a British secret weapons analyst who must accept that the impossible is, in fact, possible. And that the fate of two worlds hangs in the balance. 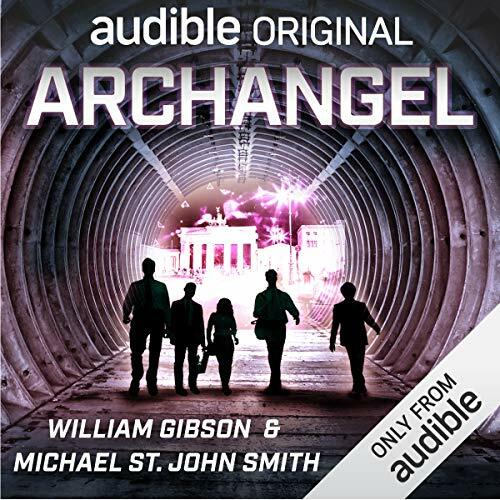 ©2018 William Gibson, Michael St. John Smith (P)2018 Audible Originals, LLC.